We strive to provide members, guest and visitors with an affordable and beautiful eco-friendly club with a top rated golf course, sporting and recreational facilities which offers an enjoyable experience with quality service in a hospitable and friendly environment. 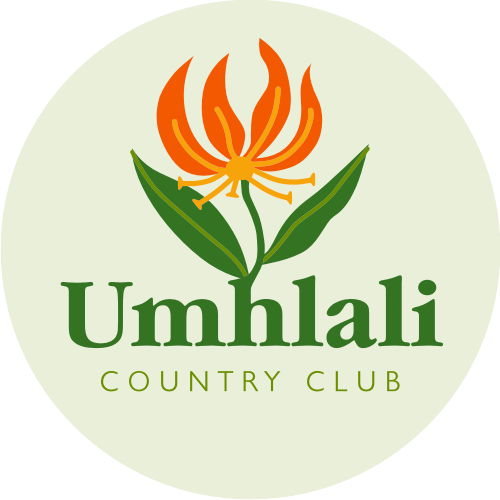 Umhlali Country Club is to be the venue of choice for sports and recreation on the KZN North Coast. Maintain the history and tradition of the club with the emphasis on the country character. A friendly hospitable environment and atmosphere. To treat all members with equality and respect and to protect their best interests. The family experience is valued. Umhlali Country Club is a non-discriminatory organization. Professional management and service is our core. 56 years old this year, we used to have a cricket pavilion and hockey fields. They have now been developed into the Housing part of the Estate. We have 302 houses within our Estate and Ballito Gardens. The club has undergone numerous upgrades over the years and while parts of the facilities may bear little resemblance to the club of 1961, we are very proud of the club and its facilities. We hope even the long standing members of UCC still feel at home and that we will all continue to experience good times and great camaraderie at our special club. The Umhlali Cricket Section was the embryo from which Umhlali Country Club grew. History: Fifty Six years on, the Umhlali Country Club and its members have established a rich history that have been moulded by the individuals, events and stories which have made the club what it is today. Early days: along with the 9 hole golf course the members also built the 2 bowling greens, 5 tennis courts and the clubhouse- mostly by themselves. The new 18 hole course was open amidst great fanfare on 11th November 1979. “UCC Continued to thrive” Umhlali kept the friendly sense of community that had been its trademark from the very beginning. You might arrive at Umhlali to play sport as a visitor, but you left as a friend. It not only met the sporting needs of the community but its social needs too. UCC was well established. Ballito as a town was still tiny by anyone’s standards, but had begun to flourish and attract large numbers of holidaymakers, many of whom would flock to UCC to play golf and other sports. UCC took a bold step and this marked the turning point in the condition of the course and was unquestionably an excellent investment in sustaining UCC’s main asset and income provider. Building begins on the housing estate. Construction started in November/December 2002. It was ironic that the first land to be turned under the new sale agreement was where it all started for UCC – at the cricket oval. The period between Jan 2005 and the end of 2007 was going to prove to be one of Umhlali’s busiest and most eventful.